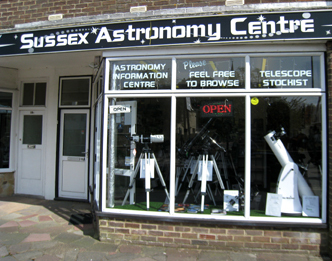 You will always receive a warm welcome at Sussex Astronomy Centre. Beginners are most welcome ! We pride ourselves on giving the correct advice to ensure your new telescope will give you many years of pleasure exploring the heavens and wonders of the universe. We stock a large range of Telescopes to suit all budgets. 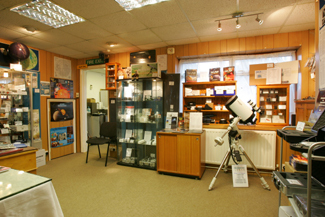 If we do not have the correct telescope for you we will be pleased to order the equipment you require. We can obtain most scopes in 24-48 hours. We have a large range of telescope accessories for all your needs. Plus Books & Posters. We also cater for bird watchers with a large range of spotting scopes and binoculars by Acuter, Optical Hardware, Helios & Celestron. 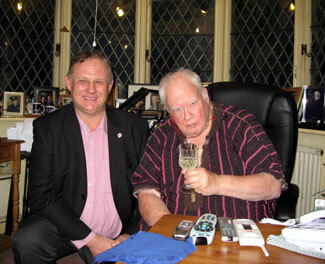 Left: Paul Farmer, Owner Sussex Astronomy Centre. All opening times subject to change without notice please check our home page for our latest hours.